The personally signed portrait of His Holiness the 14. Dalai Lama was auctioned in favour of the Tibetan Children’s Educational & Welfare Fund for a school project in Dharamsala, India. For his bloodless fight for the independence of Tibet, the Dalai Lama, who lives in exile in India since 1959, received the Nobel Prize for peace in 1989. Since the occupation by the Chinese in 1950, he exerts himself untiringly for the freedom and against the political and religious suppression by the Chinese rulers. To this day, about 1.2 million Tibetans lost their lives through terror and hunger. Every year about 2,500 Tibetans – amongst them many children - try to reach freedom by passing some of the world's highest mountain passes. Even today it is forbidden in Tibet to own pictures or even show pictures of the Dalai Lama. 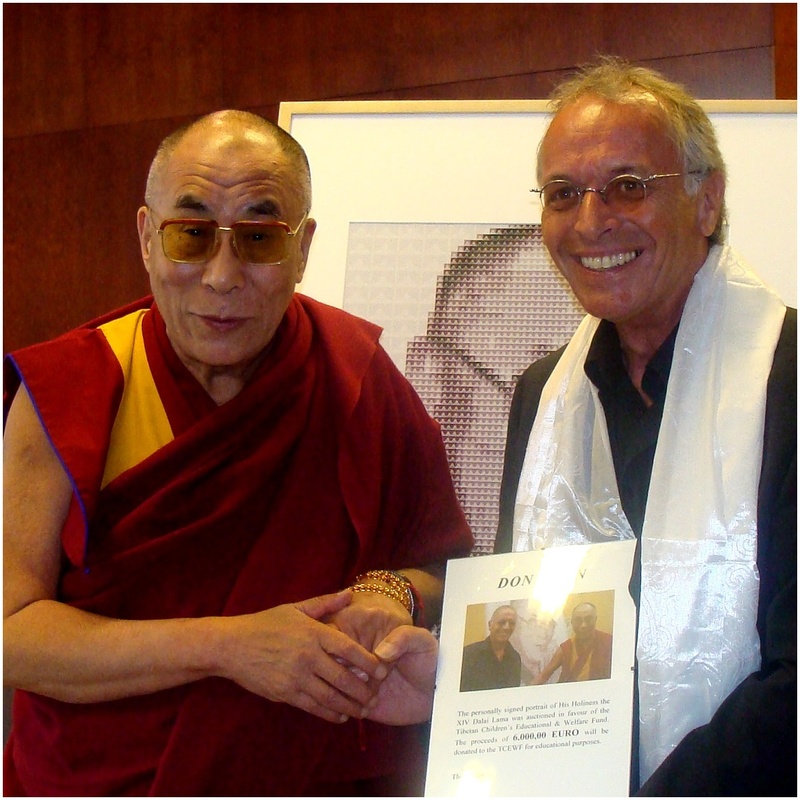 For these reasons and as an artist, I used the opportunity and idea to portray the Dalai Lama to once more point out the mismanagement in Tibet.